Henry Holt & Company, 9780805097306, 287pp. From the critically acclaimed, bestselling author of "Birdsong," new fiction about love and war five transporting stories and five unforgettable lives, linked across centuries. In Second World War Poland, a young prisoner closes his eyes and pictures going to bat on a sunlit English cricket ground. Across the yard of a Victorian poorhouse, a man is too ashamed to acknowledge the son he gave away. In a 19th-century French village, an old servant understands suddenly and with awe the meaning of the Bible story her master is reading to her. On a summer evening in the Catskills in 1971, a skinny girl steps out of a Chevy with a guitar and with a song that will send shivers through her listeners' skulls. A few years from now, in Italy, a gifted scientist discovers links between time and the human brain and between her lover's novel and his life. 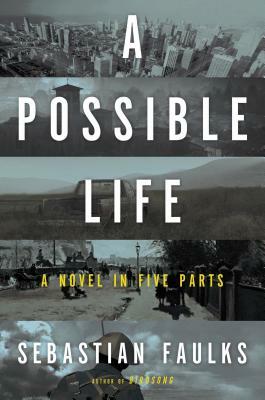 Throughout the five masterpieces of fiction that make up "A Possible Life," exquisitely drawn and unforgettable characters risk their bodies, hearts and minds in pursuit of the manna of human connection. Between soldier and lover, parent and child, servant and master, and artist and muse, important pleasures and pains are born of love, separations and missed opportunities. These interactions whether successful or not also affect the long trajectories of characters' lives. Provocative and profound, Sebastian Faulks's dazzling new novel journeys across continents and centuries not only to entertain with superb old-fashioned storytelling but to show that occasions of understanding between humans are the one thing that defines us and that those moments, however fluid, are the one thing that endures. Sebastian Faulks is the author of ten novels. They include the UK number one bestseller "A Week in December"; "Human Traces"; "On Green Dolphin Street"; "Charlotte Gray," which was made into a film starring Cate Blanchett; and the classic "Birdsong," which has sold more than three million copies and was recently adapted for television. In 2008, he was invited to write a James Bond novel, "Devil May Care," to mark the centenary of Ian Fleming. In between books he wrote and presented the four-part television series "Faulks on Fiction" for the BBC. He lives in London with his wife and their three children.